This queen bed embodies style and substance in every way. Amplify your bedroom dicor with one of three modern colour choices, and spoil yourself for once. You deserve a great night's sleep. Make it a night on this stunning bed. Available in espresso, as a queen-sized bed. Footboard comes with full supported rails. Vienna King Platform Bed, Grey Youll be looking for any excuse to go to bed when you introduce this stunning bed to your slumber space. Very modern yet upholding traditional appeal, this bed frame is wrapped in tightly woven, textured fabric, and sits atop solid, low profile feet. 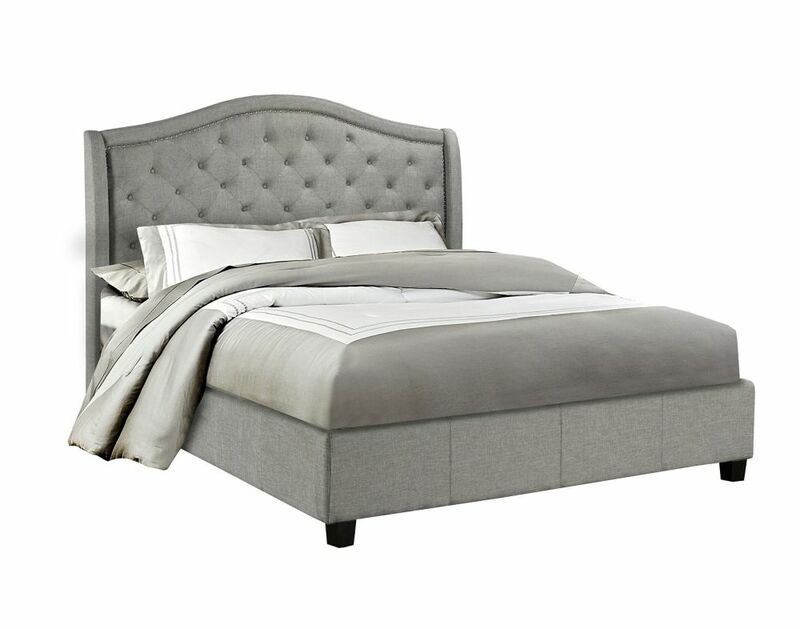 The headboard commands attention with its Tufted accent detail. A hint of luxury balances beautifully with this incredibly attractive bed.